This beautiful 1100 sq ft townhouse is conveniently located just 15 minutes from downtown Asheville and 5 minutes from the Blue Ridge Parkway. 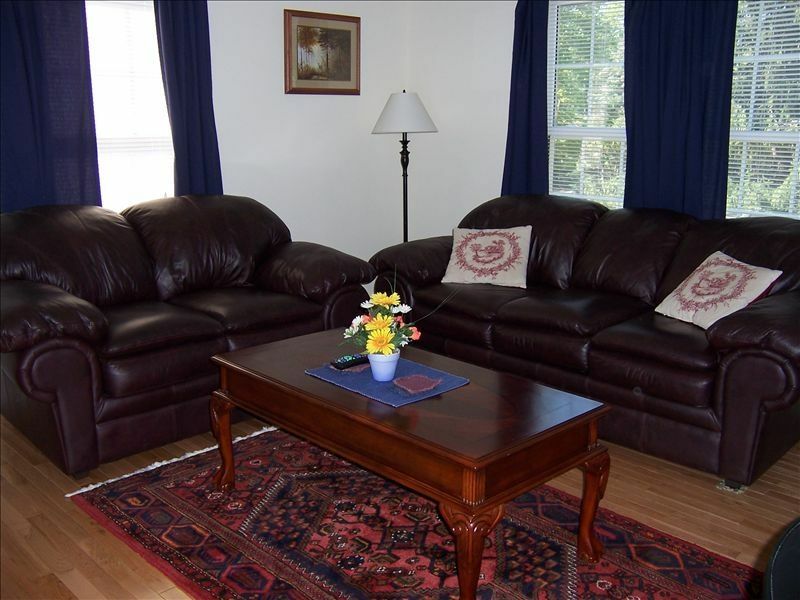 Located in a quite neighborhood, this is a great place to stay while visiting Asheville or the Smokey Mountains. Two bedrooms are located upstairs and both have queen size beds (linens are included). With all the amenities of home, you're sure to enjoy all that Asheville and the surrounding area has to offer. Also, it is located just minutes from the dining and shopping center Biltmore Park Town Square! The house has two bedrooms, both with queen sized beds, a full bath upstairs, and a half bath downstairs. There is a full kitchen with all the kitchen ware that you need to cook a full meal! A washer, dryer, and laundry supplies are included. The back deck is a great place to sit and relax while using the grill! This property was the perfect place to spend a Christmas Vacation with my family. The owner provided everything we could possibly need. The bed was so comfortable I slept like a baby. Thanks so much for a wonderful experience. The townhouse was just perfect. Location was ideal. Home was immaculately clean. We loved staying here and will return. Owner went out of their way to see that we had whatever we needed without being the least bit intrusive!! Great house - a lot for the money!! Immaculate and comfortable. As shown. It was quiet and convenient. Lovely townhouse near enough to Asheville to enjoy everything there without the cost. This beautifully furnished townhouse is a real bargain! My wife and I stayed at this place for 4 weeks while searching for a house to buy. This apartment was extremely convenient, being close to many areas including Biltmore Park, Arden, Fletcher, Fairview, and downtown Asheville. The apartment has a living room with very comfortable furniture, a kitchen, and a washer and dryer downstairs, with two bedrooms upstairs. The owners were very helpful and friendly to work with. I highly recommend this apartment for any extended stay in the Asheville area. The house was perfect for our trip! Jenny’s home was just what we were looking for! She & Renee were easy to reach by text, and the home was cozy & super clean. We’ll definitely be back! Near Biltmore Park Town Square!